Our pet tag comes with 1 split ring, 1 silencer and is laser engraved with up to 3 lines of information. You can use all 3 lines or only 1 or 2, it's up to you. Thank you for stopping by! 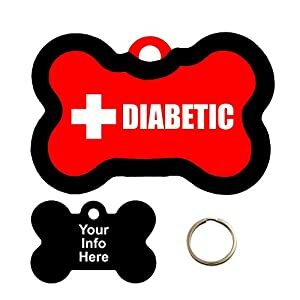 Customize your Pet Tag by clicking the 'Customize Now' button! This anodized aluminum pet tag comes with a split ring and pet tag silencer Tag Dimensions are 1.5" x 1"